What’s the worst movie in history? “Battlefield Earth,” featuring John Travolta as a dreadlocked alien (IMDb rating: 2.4)? “Troll 2,” a non-sequel featuring no trolls (IMDb score: 2.6)? “Ishtar,” the only movie for rent in Hell’s video store (IMDb score: 4.1)? Perhaps it’s “Gigli” (IMDb score: 2.3), the movie that ruined (the first) Bennifer for all of us? According to voters on the Internet Movie Database, it’s none of the above. With a dreadful weighted rating of 1.4 out of 10 based on more than 44,000 votes, a 2014 Bollywood movie called “Gunday” is by far the worst movie in the IMDb universe.1 A pretty silly, over-the-top Bollywood action flick about gun couriers that features a love triangle and lots of comical misunderstandings typical to the genre, “Gunday” has somehow found its way to the bottom of the biggest movie database in the world. That bottom is very far down. There are currently more than 235,000 films on IMDb, and in reporting this piece I found that the average rating of a movie on the site is 6.31, with the middle 50 percent of movies rated between 5.5 and 7.2. Not a single qualified movie besides “Gunday” rates worse than 1.8. But the film made a misstep that has doomed it to the bottom of the IMDb pile. “Gunday” offended a huge, sensitive, organized and social-media-savvy group of people who were encouraged to mobilize to protest the movie by giving it the lowest rating possible on IMDb. Of “Gunday’s” ratings, 36,000 came from outside the U.S., and 91 percent of all reviewers gave it one star. 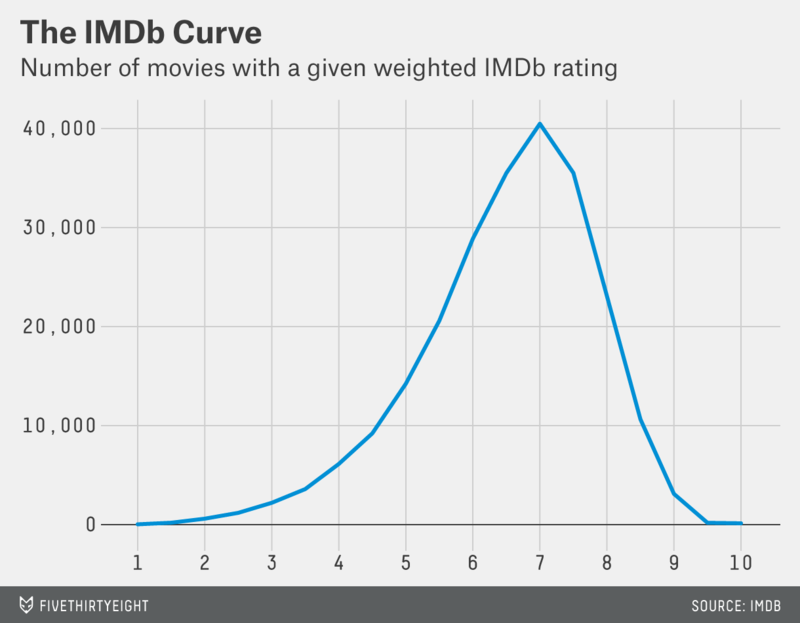 The next lowest-rated movie on IMDb — 1.8 stars overall — has a more even distribution of ratings, with only 71 percent of reviewers giving it one star. The evidence suggests the push to down-vote “Gunday” was successful, and that shows just how vulnerable data can be, especially when it’s crowdsourced. What’s left is a movie that’s been sentenced by an angry mob, and is unlikely to shed its apparent punishment any time soon. For Paris Hilton’s “The Hottie & the Nottie” — currently rated second-worst of all time — to take over IMDb’s bottom spot, the next 41,000 voters would have to give it a 1. Data analysis by Eugene Bialczak. Also, a disclaimer: the author wrote much of the IMDb Trivia App.